Home / DENR / News / President Duterte / Siena Luchansky: President Duterte to head DENR after CA rejects Gina Lopez' confirmation? Siena Luchansky: President Duterte to head DENR after CA rejects Gina Lopez' confirmation? 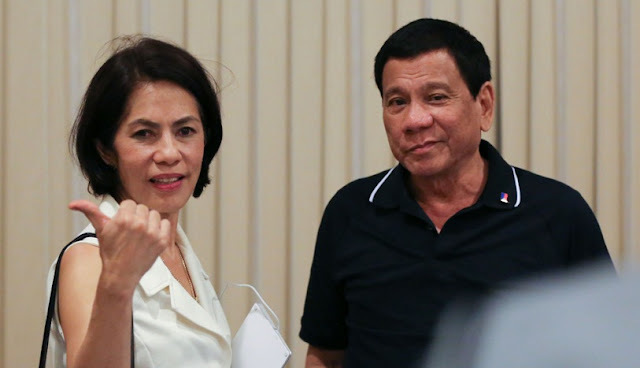 No less than President Rodrigo Duterte should take over the helm of the Department of Environment and Natural Resources, Gina Lopez said on Wednesday after her appointment was rejected by the bicameral Commission on Appointments. “My choice for DENR secretary is President Duterte…It’s an amazing position and I can’t think of any other person. You know, one it needs guts, it needs tapang, because you have to step on business interests,” Lopez said. “I will still offer my services to President Duterte in terms of development because that’s my skill but in terms of leading the agency, I don’t think he can get anyone new, you can get clobbered,” she added. “He should take it on. That’s my choice; President Duterte. He’s the only one who has the guts,” she added. Lopez is the second Cabinet official of President Duterte to be rejected by the CA. The bicameral body had earlier rejected the nomination of Perfecto Yasay, Jr. as secretary of the Department of Foreign Affairs over citizenship issues. Lopez’s nomination was rejected by the CA through secret balloting in an executive session. Lopez said her sources informed her that the vote was 16 against and eight in favor.